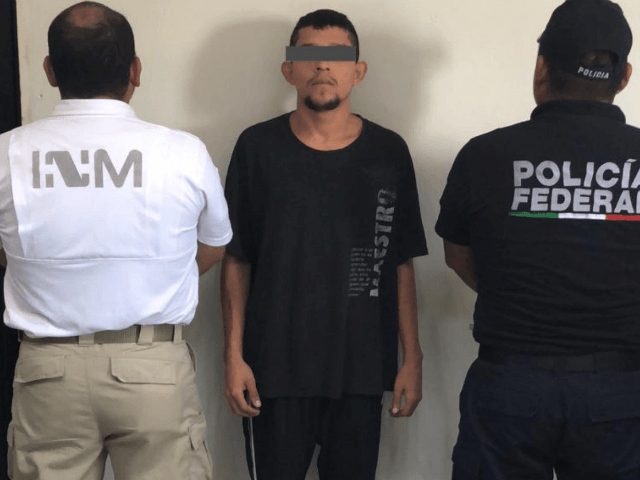 Mexican authorities deported two fugitive Honduran caravan migrants wanted for their respective alleged roles in a triple murder and drug trafficking. 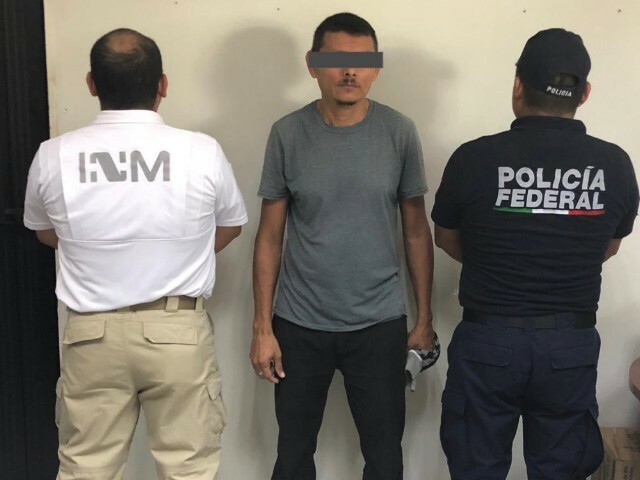 The arrest took place as part of a joint effort between Mexico’s Federal Police and the National Migration Institute (INM) in conjunction with Interpol, Mexico’s Secretariat of the Interior said. The two men were part of the migrant caravan from Honduras and requested permission to travel through Mexico. 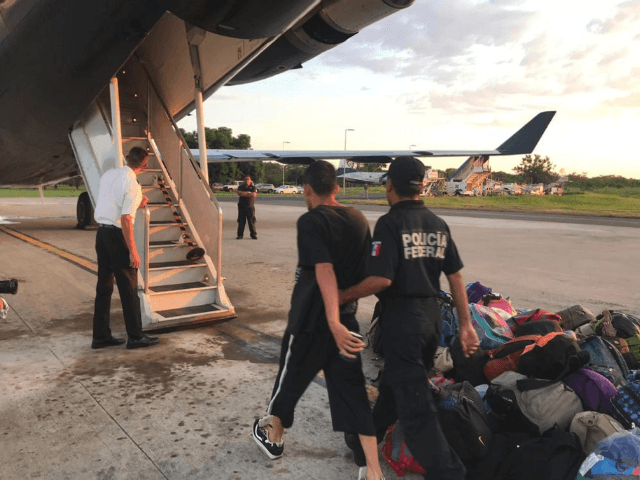 Immigration authorities detained the two men at separate immigration checkpoints in Chiapas and took them to another station to be flown back to Honduras. Mexican authorities identified one of the men as 47-year-old Juan Carlos “N,” wanted for his alleged role in the murder of three individuals. The other caravan migrant was identified as 27-year-old Adin Josue “N,” wanted on drug trafficking charges. According to the Mexican federal government, the two men were part of the migrant caravan making its way north. The caravan has become the topic of controversy after the group publicly announced their intention of reaching the U.S. Border. As Breitbart News reported, Mexican officials offered the group temporary employment, health care, and education if they followed local immigration laws and made a formal request for asylum. Organizers largely turned down the offer and only 111 migrants signed up for the program. Tony Aranda and “J.M Martinez” from the Cartel Chronicles project contributed to this report.